A new era in dry shampoo begins here. Our breakthrough formula, with strengthening keratin, will refresh your hair and protect it against damage caused by heat styling and over-processing, leaving it looking healthy and feeling clean! 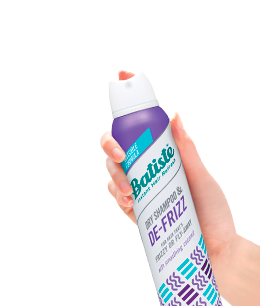 Batiste Dry Shampoo & Damage Control will work on any hair type, but it’s PERFECT for dry, damaged and over-processed hair. For maximum damage protection spray all over and work through. 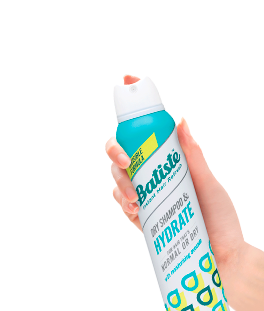 Dry Shampoo & Damage Control for hair that’s weak or damaged. 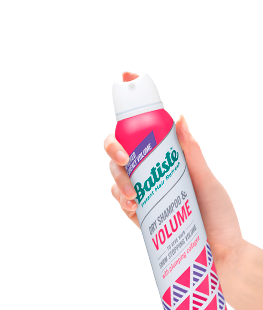 Top Tip: For maximum damage protection spray all over and work through. For maximum damage protection, spray all over and work-through. Butane, Isobutane, Propane, Alcohol Denat., Oryza Sativa (Rice) Starch, Aluminium Starch Octenylsuccinate, Crambe Abyssinica Seed Oil, Parfum (Fragrance), Cocoyl Hydrolyzed Keratin, Persea Gratissima (Avocado) Oil, Distearyldimonium Chloride, Tocopherol, Cetrimonium Chloride, Glycine Soya Extract, Alpha-Isomethyl Ionone, Citronellol, Hexyl Cinnamal, Linalool.